Samsung continues to push its own virtual assistant and appears it is now ready to make it a part of your home by releasing a speaker with Bixby capabilities. The new device is expected to be launched next month, probably alongside the new Galaxy Note 9 (scheduled for August 9). According to the sources, the speaker will be bowl-shaped (upside-down bowl is what you should probably imagine), likely featuring multiple speakers facing different directions, similar to Apple's HomePod. The speakers will provide a feature called "sound shifting", which is a function that tracks the person giving the commands and beams the sound towards his/her location. Samsung appears to be putting the emphasis on the high-quality audio of the device rather than the Bixby functionality. 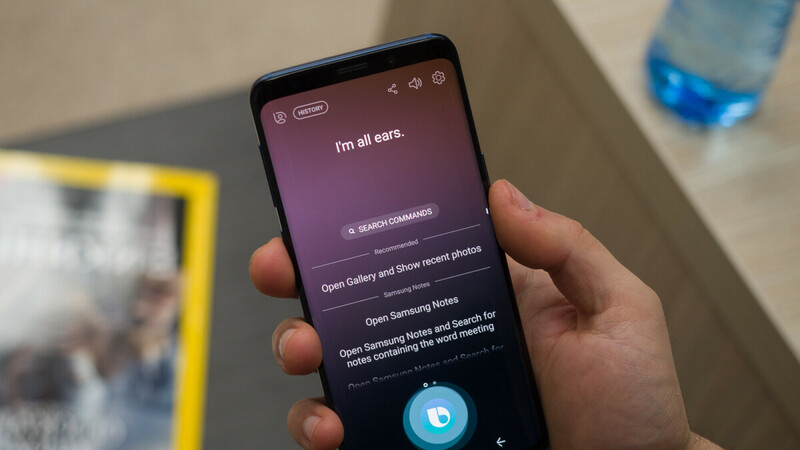 Earlier this year Samsung announced that the Note 9 will be the first device to have a new "Bixby 2.0", which makes it obvious that a dedicated Bixby product will have the improved version as well. How well it will fare compared to the holy trinity – Alexa, Siri and Google Assistant, we'll see once we put them side-by-side. The price of the speaker, bearing the code-name "Lux", is rumored to be around $300. Its expected competitors are the HomePod, priced at $349 and Google Home Max at $399. If it will match their performance, we'll find out next month. Only samsung smart speaker makes sense if samsung Integrat bixby in it's all home appliances. They have the speaker tech... They have the virtual assistant tech... They have the home appliance tech... This speaker makes a lot sense seeing how well Bixby handles intuitive task on the phone... This could be a game changer. I just got my eighth and ninth Google Home/Mini (thanks Lowe's), I really don't have any place for one of these, no matter the price. I'm kind of where you are. GH throughout with an echo dot relegated to the garage for being behind assistant. Most of my 40ish smart home devices are managed through smartthings which would definitely be helped with Bixby but Bixby wont be able to compete on the AI side when compared to google. Sound quality will be stellar though with Harmon Kardon /AKG in the mix.